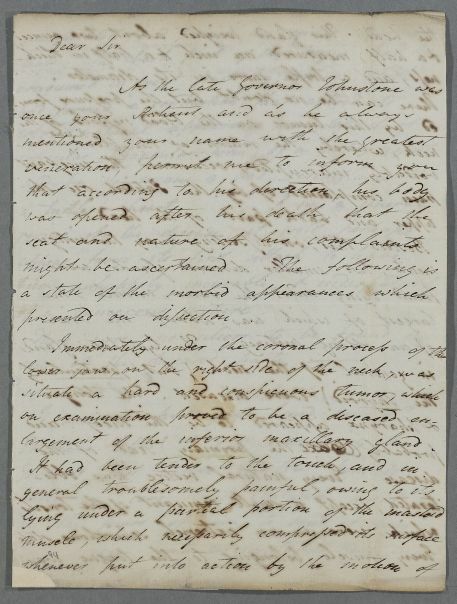 Letter from A. Bain, writing from Hotwells, near Bristol, reporting the post mortem on Governor George Johnstone, which found diseased enlargement of the maxillary and adjacent glands, and the schirrosity and erosion of the tongue and pharynx. He finds the disease was 'indisputably of a cancerous nature'. 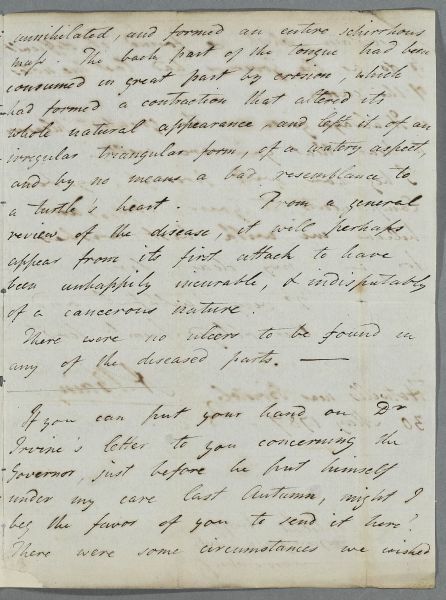 He also asks Cullen to send him Dr Irving's letter, and sends his compliments to one of his sons (unnamed). 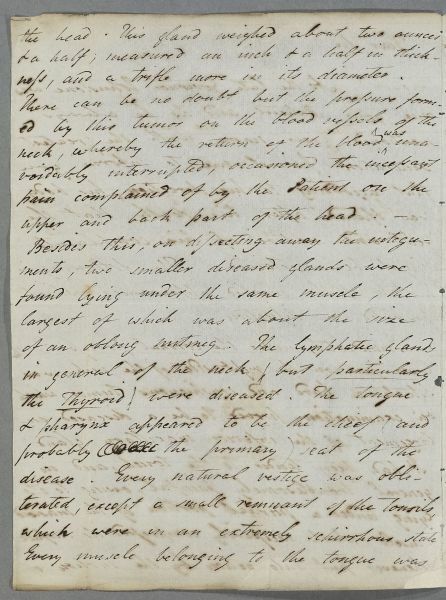 Summary Letter from A. Bain, writing from Hotwells, near Bristol, reporting the post mortem on Governor George Johnstone, which found diseased enlargement of the maxillary and adjacent glands, and the schirrosity and erosion of the tongue and pharynx. He finds the disease was 'indisputably of a cancerous nature'. 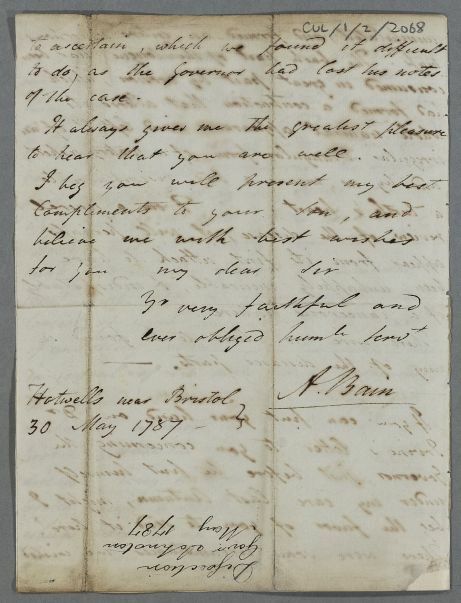 He also asks Cullen to send him Dr Irving's letter, and sends his compliments to one of his sons (unnamed). Case of Governor George Johnstone (Johnston) who has a maxillary gland tumour and diseased tongue, which prove fatal. largement of the inferior maxillary gland. ness, and a trifle more in its diameter. beg the favor of you to send it here? to hear that you are well.